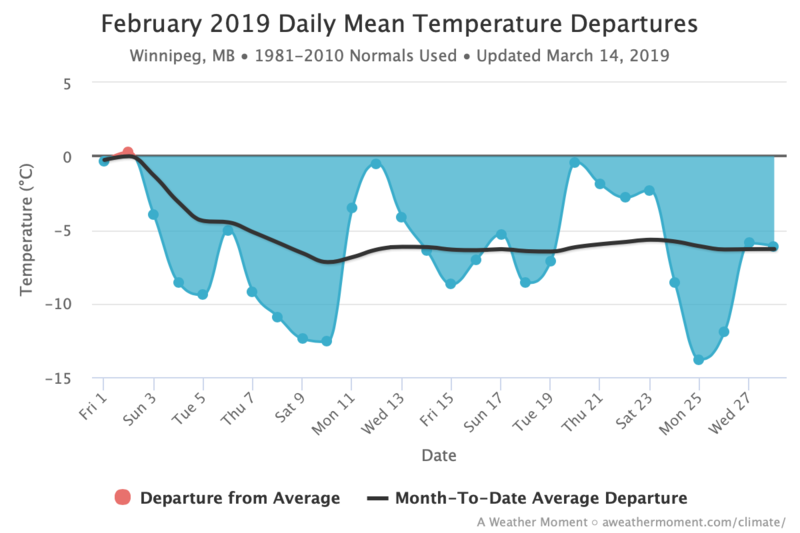 On this page, we have current climate-based information for Winnipeg. 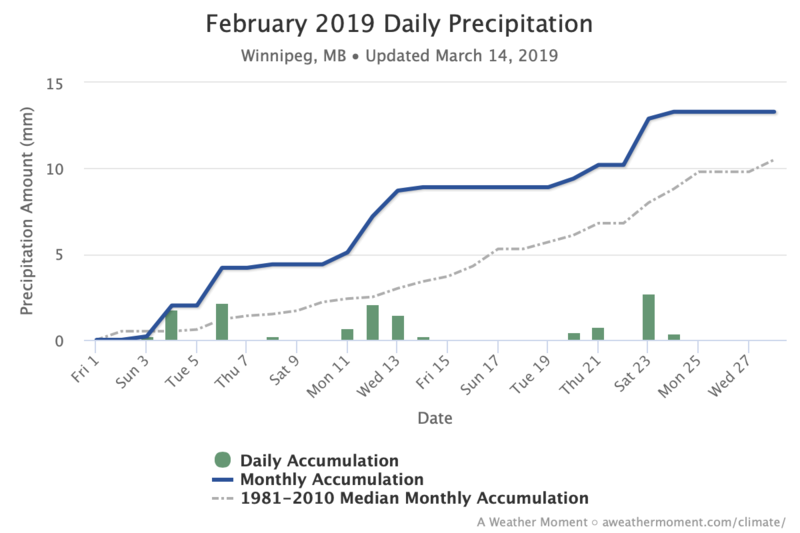 We utilize the official temperature and precipitation measurements from the Environment and Climate Change Canada weather station located at the Winnipeg airport (identifier: CXWG). 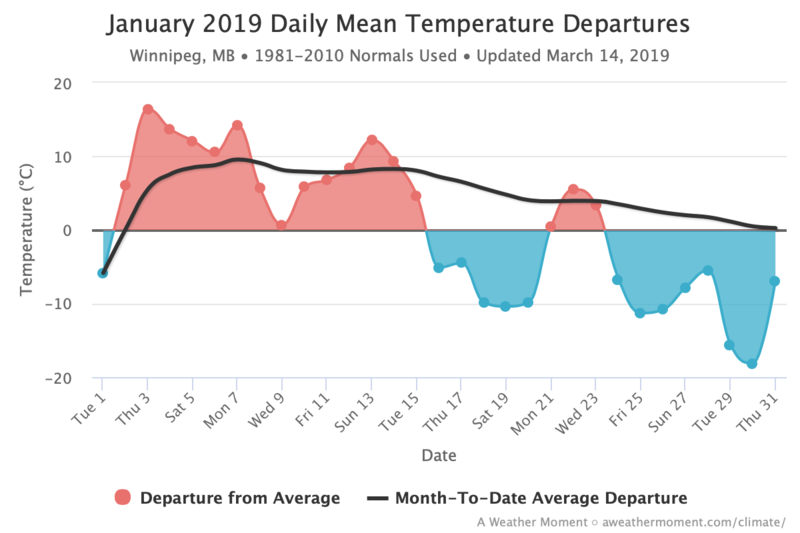 Generally, these charts are updated at least once a week. 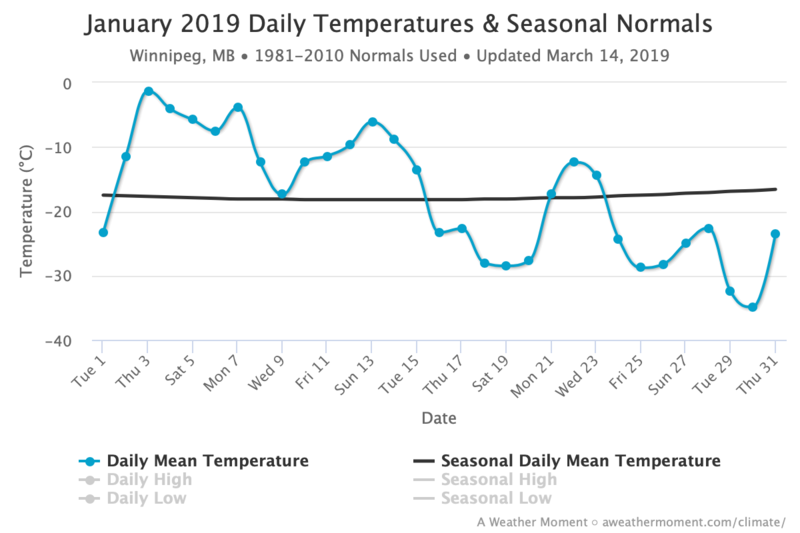 We are currently producing 3 kinds of charts: daily temperatures and means, daily temperature deviation from mean, and precipitation. They are available by month as well as as an annual graph. We are in the process of back-filling the catalog of monthly and annual graphs as well. 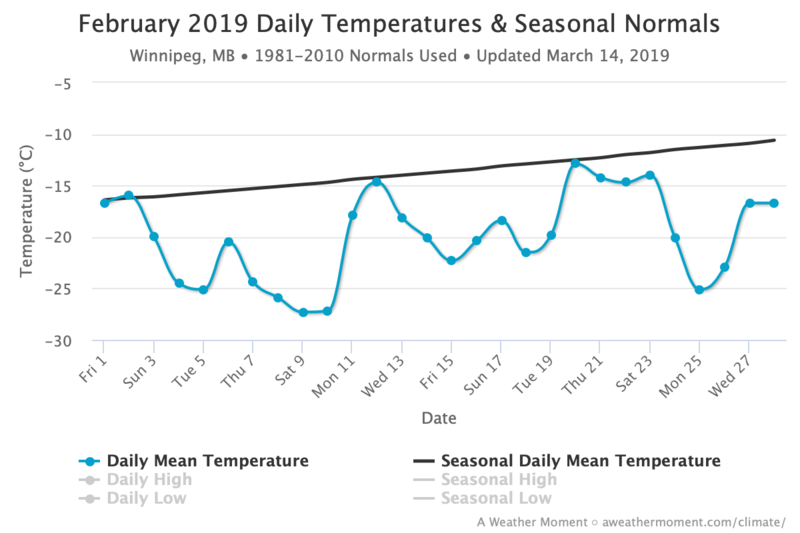 Due to the labour involved with the process, we will only backfill to 2011, as that’s the first year the current 30-year normals (1981-2010) apply to. In the future, this page will be expanded with better usability and a variety of record statistics as well. 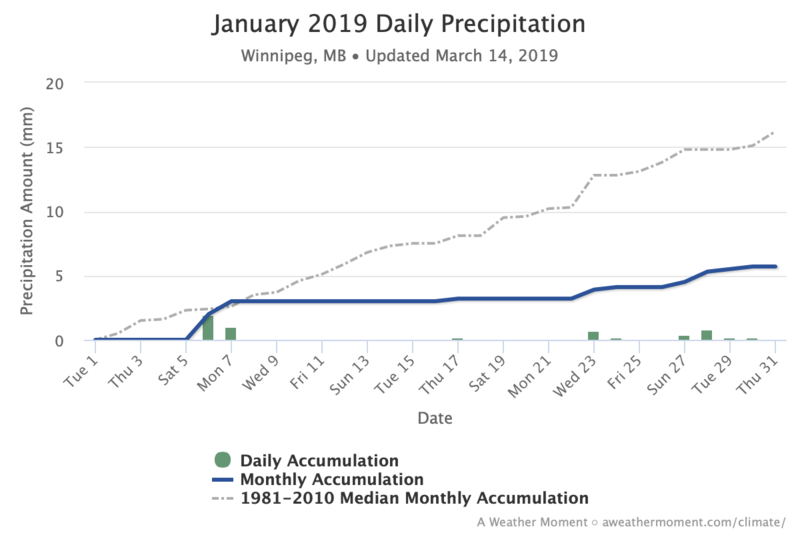 These statistics will encompass the entirety of Winnipeg’s climate archive (1872-Current). Enjoy!